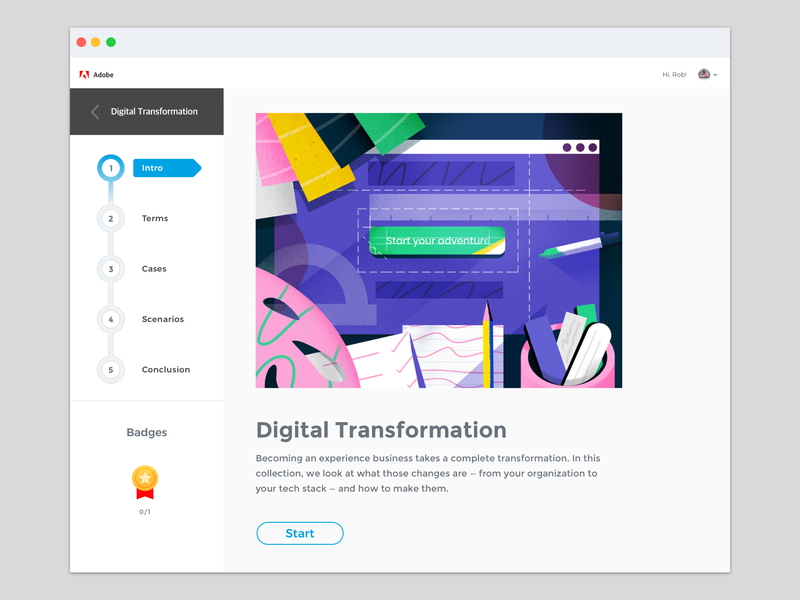 Adobe's Guided Learning creates gives enterprises personalized learning paths to help them drive growth for their organization. Adobe was inspired by our work and created the Experience League. As enterprises evolved to become data-centric businesses, the number of cloud services followed. Adobe Experience Cloud offers integrated solutions for enterprise marketing, analytics, advertising, and commerce. 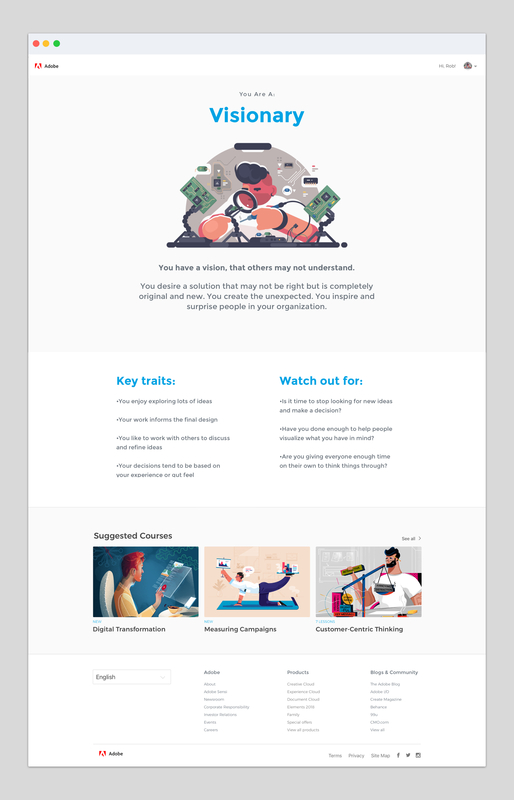 They needed to build deeper relationships with their enterprise clients and asked us to find new ways to connect with the creative decision makers in these organizations. Adobe’s enterprise clients were engaging with their products, not their communications. They had the tools to succeed but felt stuck because they weren't using them to their potential. Adobe's Guided Learning enables enterprise customers to drive growth for their organization. 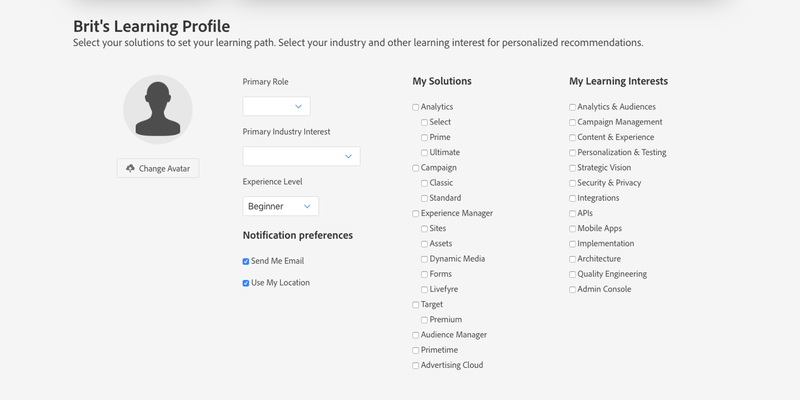 It uses machine learning to create personalized learning paths based on the user's role and industry. Employees access the service with their Enterprise ID. 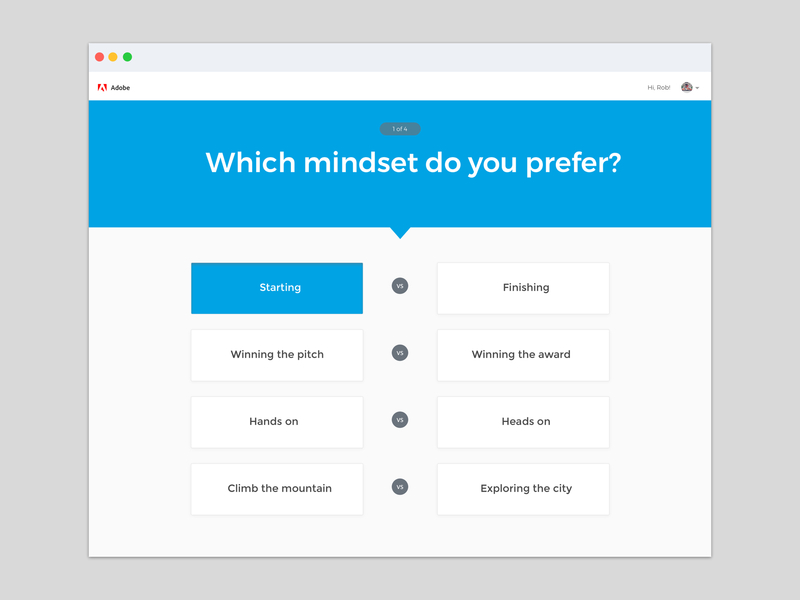 When they land on the website, they are prompted to take a quiz that helps them understand what makes them tick and how they work best in their organization. Once they click submit, they are given a “Leadership Archetype”, correlated strengths and weaknesses, and suggested courses. The on-boarding process helps Adobe uncover qualitative insights about their enterprise clients. 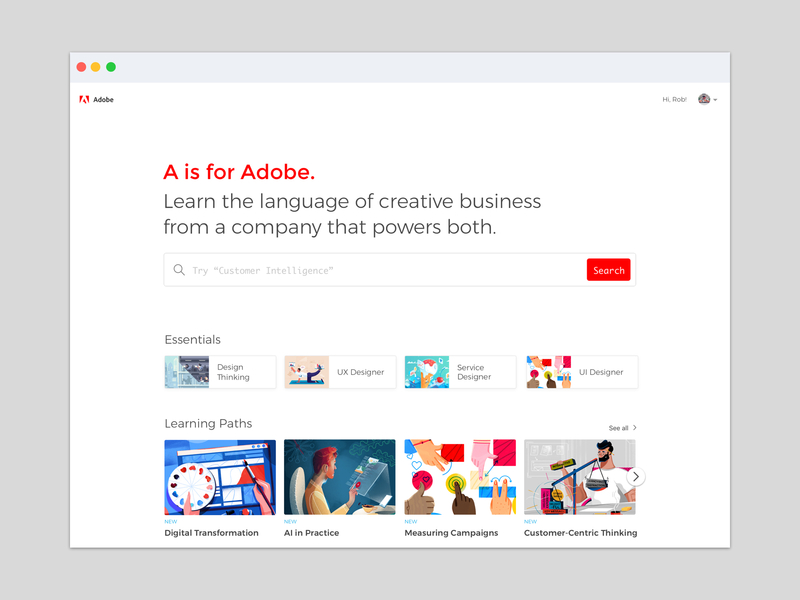 The home page makes it easy for users to discover topics and define a learning path suited for them. Hosting the e-learning platform on a website allows their enterprise clients to access the platform while they are in the office and traveling out of town for work. Users can develop new skills and practice using Experience Cloud with real data from their organization and respective industry. Leaders can set goals and track progress to make sure each department has the latest skills. 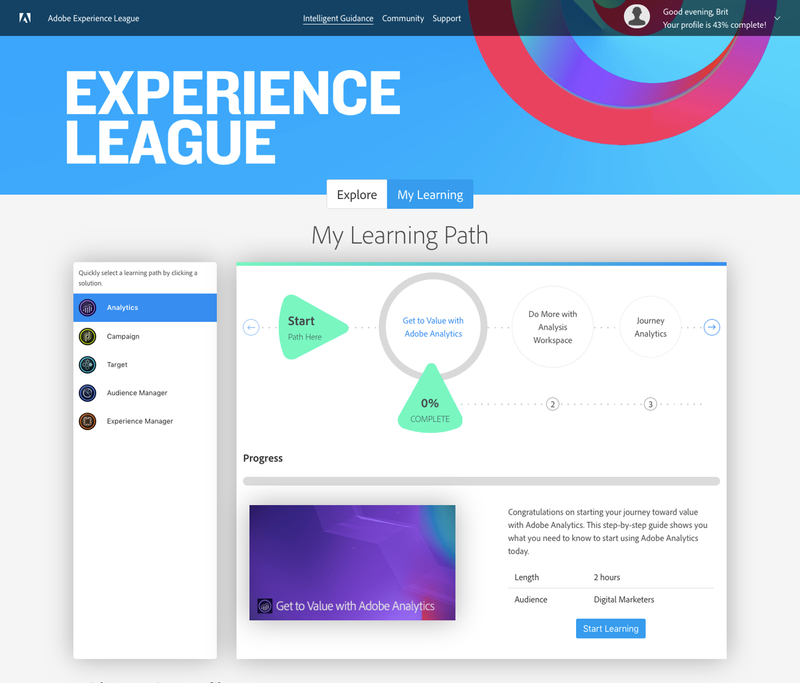 Adobe was inspired by our work and created the Experience League. 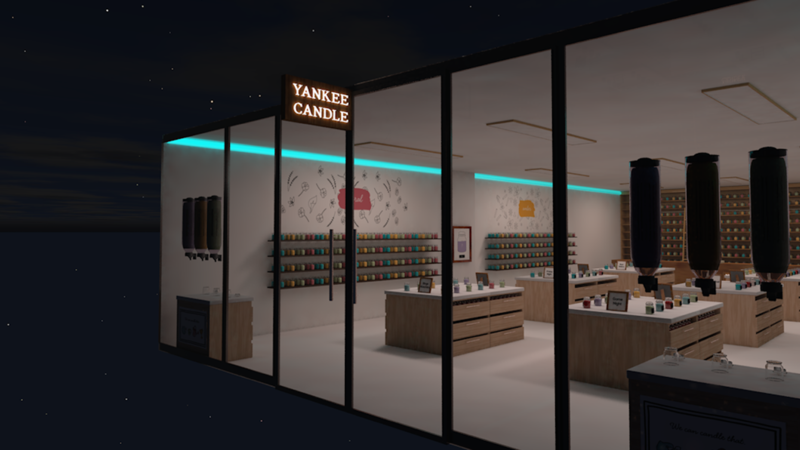 Reimagining the retail experience to give new life to the brand.